Mount Ararat is considered legendary for reason. As the Bible has it, it was the final destination of Noah’s Ark. Climbing Mount Ararat provides an opportunity to study an ancient culture along with climbing to en elevation of 5000m. Ararat climb doesn’t require a rich previous climbing experience. Even a newbie in good physical shape can summit it. Mt. Ararat is a dormant volcano presently located on the territory of Turkey. The mountain has two peaks – the Great Ararat (that is 5065m) and the Little Ararat (3925m). The duration of itineraries for climbing Mount Ararat varies. Acclimatization is conducted on the mountain itself since there are no other significant altitudes to climb. The camp-to-camp progress depends on the group’s physical fitness and season – in April the amount of snow makes the assent significantly difficult and the descent –easy. Day 1. Meeting at the airport and a ride to the town of Dogubayazit. Visit to Ishak Pasha Palace. Overnight stay at hotel. Day 2. Breakfast at hotel and a ride to the village of Eli, followed by ascent to the first camp at an elevation of 3340m. The climb takes about five hours. Overnight stay at camp. Day 3. 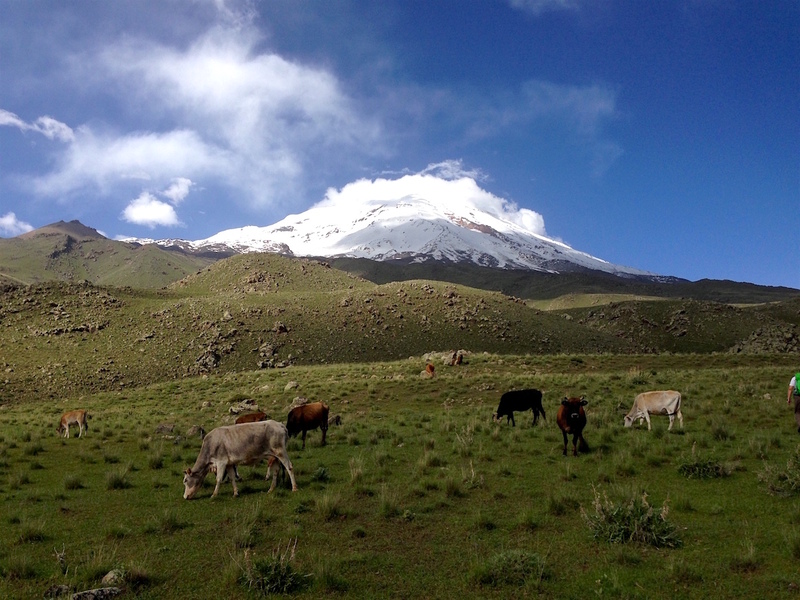 3–4 hours acclimatization hike to an elevation of 4,400 m. Overnight stay at camp at 3340m. Day 4: moving to the camp at 4100m. Day 5. Early start to summit Mount Ararat and descent to the camp at 3340m. Day 6. Reserve day in case of bad weather. If summiting is successful, we can spend this day sightseeing around Dogubayazit. Day 7. Descent and a ride back to Dogubayazit, with overnight stay at hotel. Sightseeing tours in Dogubayazit as mentioned in the itinerary. Mules for taking the equipment to camps.